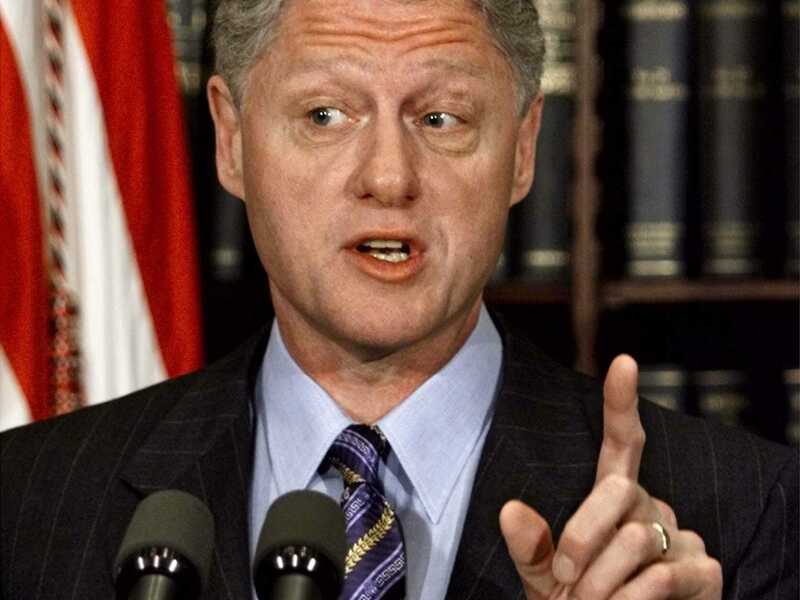 Bill Clinton To George W. Bush: Why Aren't You On Twitter? President Bill Clinton issued a Twitter challenge to two other former president George W. Bush on Wednesday evening. Update (8:23 p.m.): Bush sent Clinton an incredible reply. A spokesman for the younger Bush did not immediately respond to a request for comment about Clinton’s Twitter challenge. George W. Bush has said he wanted to write the book because he wanted his father, who is 90-years-old, to have a chance to read it while he was still alive. There has recently been mounting speculation the Bush dynasty could eventually include a third president with growing speculation another one of George H.W. Bush’s sons, former Florida Gov. Jeb Bush (R), could launch a White House bid in 2016. Update (7:45 p.m.): This post was updated after President George H.W. Bush’s spokesman informed us that he is on Twitter, but his son is not.